The Mid-Main Art Fair, a one-day long art salon, was held on Sunday June 13 2010 in the historical and beautifully restored Heritage Hall on Main Street at 15th, Vancouver. Artwork in a wide variety of styles and mediums was available for viewing and purchase in the unique setting. 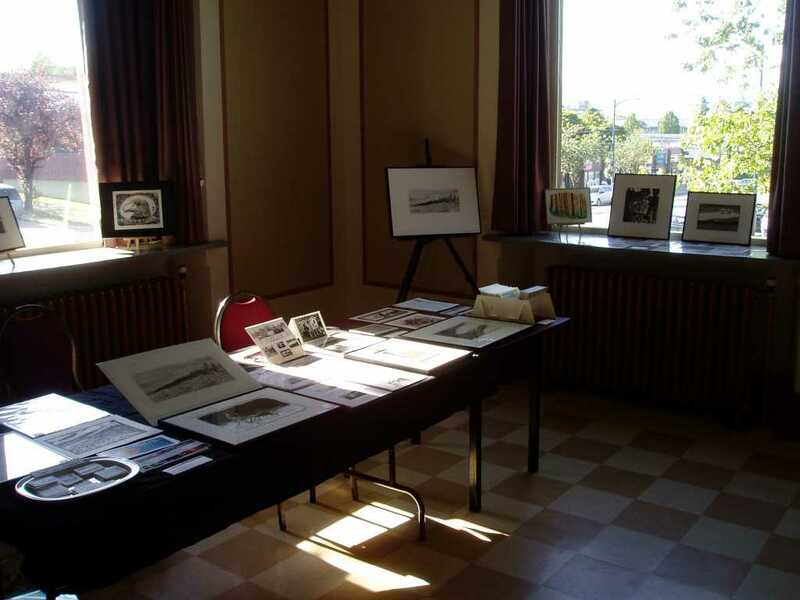 Sixteen artists displayed their work in the great hall, and hundreds of visitors came in to see the show. Although the weather was cloudy with a bit of rain early in the morning, the clouds cleared slowly and the afternoon turned out to be a lovely sunny day, as seen in the photograph of my booth below.